With just the right texture, the perfect amount of spice, not too salty, not too sweet, the Chiang Mai Pad Thai omelette is just right. That is, until I tried to re-create it. For someone who loves their food, spends most likely more than half of their income on food; dreams, writes and obsesses about food – I CANNOT cook. 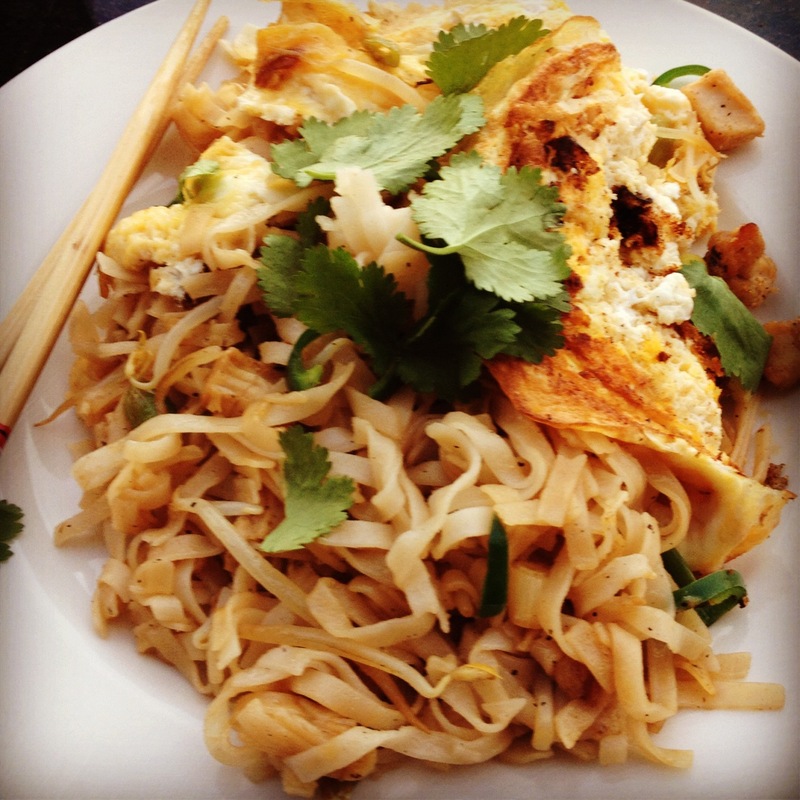 The said Pad Thai omelette is warm with a soft texture that is not too soft but soft. The outer egg is thin like a crepe yet stays perfectly intact and does not crack to reveal the goodness inside. When you break open the base with chopsticks, the heat and smells hit you. Is it sweet? Savoury or sour? The noodles are soft, absorbing the lime, chilli, fish sauce and palm sugar they were cooked in. Spring onion, tofu, bean shoots and chicken shredded between the noodles provide depth and an array of fragrant flavours to the body of the noodle. After becoming obsessed with a Pad Thai omelette I had in Chiang Mai over a year ago, I attempted to recreate this perfection myself. Needless to say, I didn’t completely fail I certainly did not succeed. My noodle was not encased by the omelette nor did I manage to keep the egg intact. I overcooked my chicken and I didn’t quite get the sauce right. Something was missing and it certainly wasn’t fish sauce, but I am fairly impressed that I got this far. After all, I did have food on a plate and I did eat lunch. I am a long way off giving up and I vow to eat nothing but Pad Thai omelettes until I get it right.